Not really a shawl or what we consider a shrug, I was quite fascinated the first time I saw this style on a colleague. 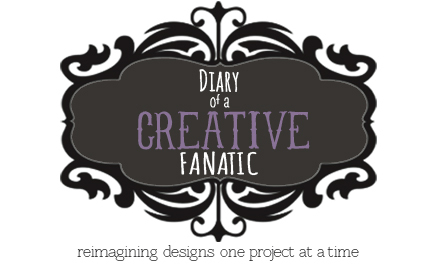 The idea was to keep the body warm without restricting movement. What is essentially a scarf wrapped around the neck, criss-crossed around the chest and then somehow attached around your back, I was hooked by the simplicity. 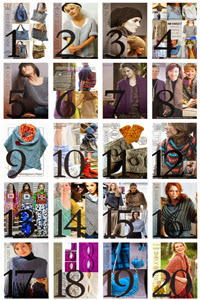 Any scarf that is not too narrow or too wide and is long enough to wrap around your body is ideal. There are different ideas for closures, buttons being the easiest. 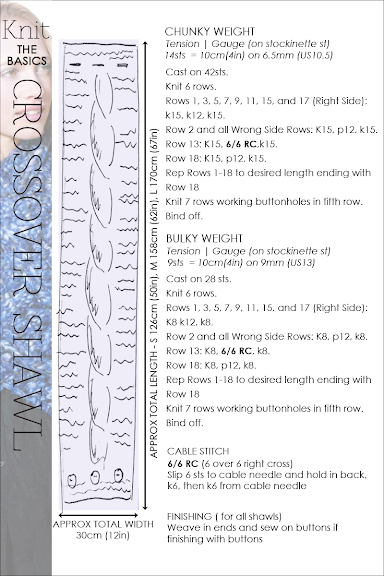 Beginners will love this project as it is a great way to practise making cables. Meant to be worn either alone as a chill chaser or wrapped around a light jacket for added warmth, this crossover shawl is practical and easy. Read further for knit instructions for two different weights of yarn, tutorials for different buttonholes and how to space buttonholes. 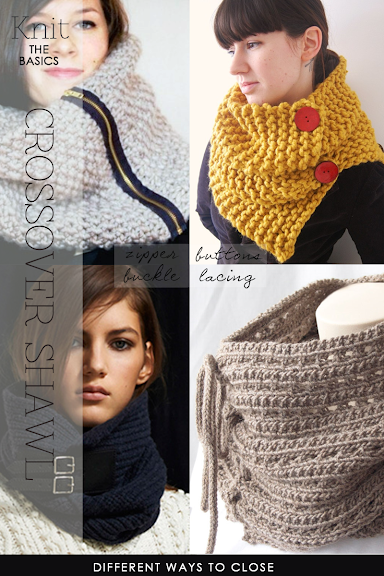 A popular past post featured cowls with several ideas for closures. 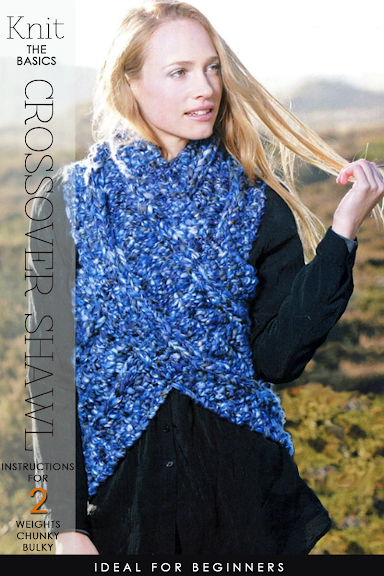 Any one of the featured closures would be suitable for the Crossover Shawl.